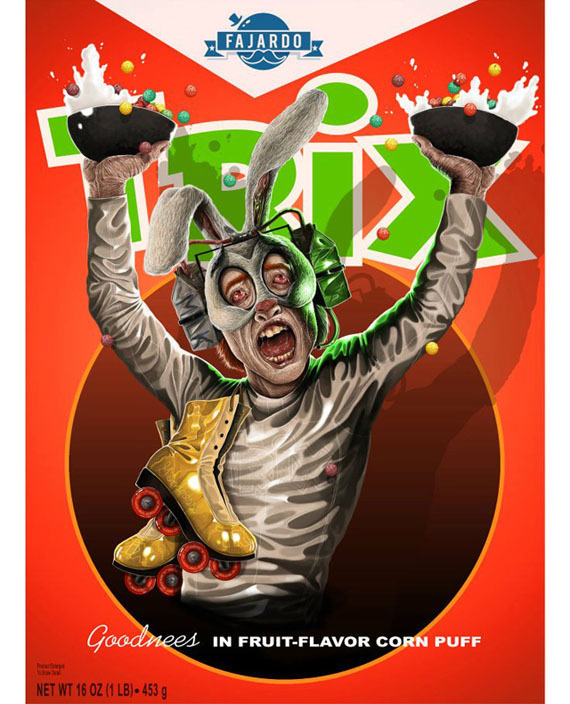 This is a series called Breakfast Time by graphic designer and illustrator Guillermo Fajardo. 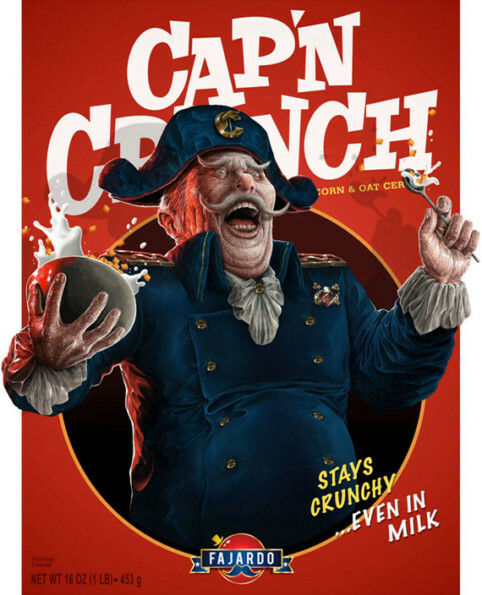 He’s recreated our favorite sugary breakfast cereal mascots to make them look real. Which, turns out, is like an 11 on the creepy scale. Right up there with finding a condom wrapper in your grandmother’s bathroom trash can. GRAMMA, WHAT HAVE YOU DONE?! 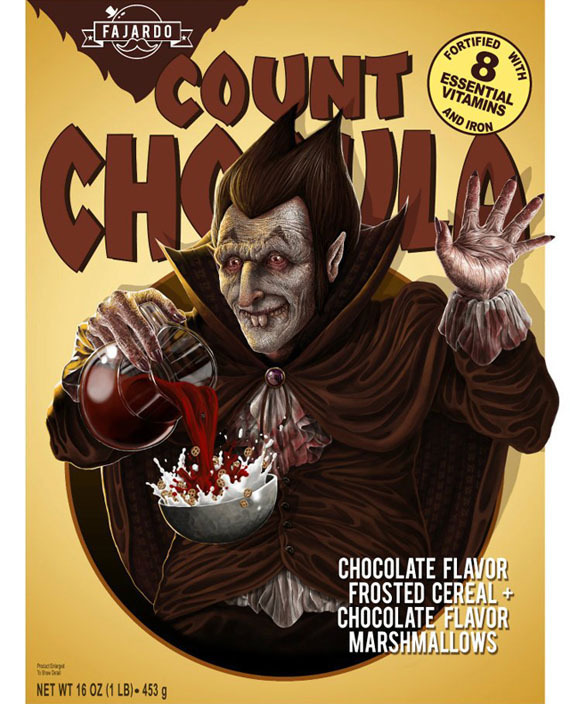 Guillermo covered Tony the Tiger, Cap’n Crunch, Count Chocula, and the Trix Rabbit. No Toucan Sam? What about my boys Snap, Crackle & Pop? Or that sneaky Leprachaun with the pot of gold? Damn yeah, I wanna steal your Lucky Charms, bro — dem shits are goooooood! 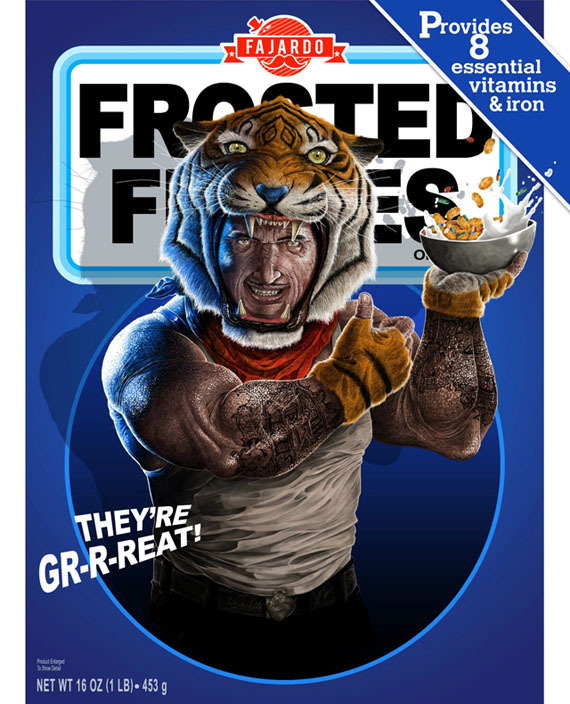 These are scarily real… I will contact you when I see them on the streets.